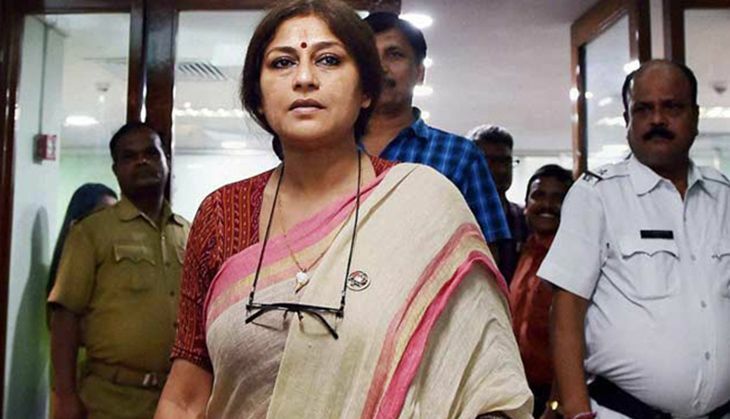 Bharatiya Janata Party (BJP) MP Rupa Ganguly, on 21 November, alleged that West Bengal Chief Minister Mamata Banerjee is good at launching agitations. "It has been proved that she (Mamata Banerjee) is good at launching agitations. She has only done agitations for 25 years. There is mismanagement in her five years of governance. It would have been better if she had ruled the state properly. She thinks she can't make money in Bengal, that's why she is planning to make money here in Delhi," she said. The actress-turned politician also alleged that half of those standing in long queues outside ATMs and banks have been deployed by the various opposition parties. "The people, who have huge amount of cash stored in trunks, are facing problems. We are roaming around in the streets. Half of those in these long queues have been deployed by the political parties. They vanished when indelible ink was used," Ganguly added. Carrying forward her protest against demonetisation, the West Bengal Chief Minister earlier in the day said that she would protest on the roads of Delhi tomorrow to voice her concerns against the ban. "I don't even know whether the Union Cabinet was informed about demonetisation. My humble submission to the Centre is to work together and solve this issue. We have to protect the common people. I am going to Delhi tomorrow. I will be on the road again," she told the media in Kolkata. The Trinamool Congress (TMC) supremo also made it clear that she had no personal interest but was doing this for the sake of the nation. "We are ready to join any political programme. I have no personal interests. I am doing this for the sake of the people of the country," she said. Training guns on Prime Minister Narendra Modi, the TMC chief also lambasted the government for lack of planning prior to implementation of demonetisation. "We have never seen a Prime Minister, who threatens his political opponents. The Prime Minister should be very sober. The Centre has rolled back about 15 decisions since announcement on November 8. Catch the cheaters and black money hoarders but spare the common people," she said, adding that she would address a rally in Lucknow and Bihar on 29 November. Mamata further stated that the lower middle class, traders, daily wage workers and housewives are the worst sufferers of demonetisation. "The note supply worth Rs. 14 lakh crore has been withdrawn after demonetisation. The lower middle class, traders, daily wagers and the housewives are the worst sufferers. Black money hoarders are finding new ways of stashing their cash. The common people are suffering," she added. Asserting that every day the Centre is doing a roll back, the West Bengal Chief Minister said that instead of making changes on a daily basis, the ruling dispensation must come up with a proper plan of action. "The black money has become blacker. You have snatched white money from the people of the nation. 86% of the currency has been affected. We had raised the issue of suffering of farmers due to demonetisation. Food supply may be hit. Lot of construction workers are going back to their homes. The jute mill workers and the tea garden workers are suffering," she added. Earlier last week, Mamata along with Bharatiya Janata Party (BJP) alliance partner Shiv Sena led a march from the Parliament to the Rashtrapati Bhawan protesting against the currency ban. Prime Minister Modi had on Sunday responded to her criticism by saying "those who looted poor with chit fund scam are today questioning Centre."